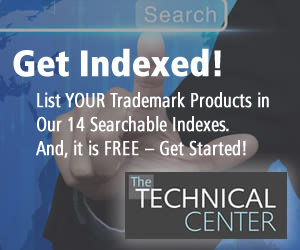 This is the inaugural year for "FabricLink's Top 10 Innovations for 2010." The purpose of this annual award is to recognize new textile based product technologies in the area of specialty fabrics, or the development of significant improvements in design, construction or performance of existing products. The selection is made by the FabricLink Network, based on a review of new products currently in the marketplace within the specialty areas of technical sports textiles, industrial, medical, safety/protective and home furnishings. Since innovation drives the specialty fabric market, the FabricLink Network wants to recognize the products, designers, manufacturers and suppliers, who are on the cutting edge, leading the way to the next generation of products and technology. AFM's Silver Lining™ fabrics combine a thin, reflective, insulating layer, developed by NASA aerospace scientists, with a lightweight, non-woven fabric, to offer apparel designers an intriguing option for reducing bulky insulation materials in garments, mittens, hats, sleeping bags, and more. This built-in "heat mirror" technology re-directs radiant body heat typically lost through conventional fabrics and insulation materials, so that it stays next to your skin. It is engineered to reflect between 50 and 60 percent of radiant heat to reduce the chance of overheating during active use. Silver Lining Uses include: parkas, vest, and mitten linings; interior lining for pockets (hand-warming) and hoods; emergency bivvy bags; footwear linings; travel and stadium blankets; mattress liners; replacement or supplement for bulky bedding. Next Fiber Technology's NanoGLIDE™ is a next generation permanent, all-in-one, PTFE patented fiber technology offering maximum control over sweat, friction and abrasion. It is a Protective Body Armor for the athlete that provides protection on both the inside and the outside of a garment utilizing recycled PTFE in the fiber. NanoGLIDE™ is uniquely engineered to be 1) durable, 2) wick sweat, 3) dry fast and 4) reduce friction. This means that a fabric, made with NanoGLIDE, is highly durable and breathable for fast evaporation, via its unique PTFE channels, and at the same time gives performance qualities in next-to-skin fabrics by reducing skin abrasion, blisters, and other skin sores. Fabrics made with NanoGLIDE incorporate recycled PTFE particles into polyester, ECO polyester, or nylon fibers at the beginning of the fiber manufacturing process. NanoGLIDE reduces friction on the inside of a garment and prevents abrasion on the outside that can cause wearing and damage to the surface of the garment. The NanoGLIDE protection is washable, and also addresses UV degradation by providing more tensile strength after UV exposure. 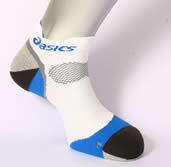 NanoGLIDE is currently used in performance apparel and socks. NanoGLIDE™ branded clients include: Asics, Reebok CCM, Rockport, Babolat, Salewa, Pac Brands, Berlei, Norrona, Nordica, Holeproof, Craft, Jack Wolfskin, Salomon, K2, Burton, Columbia Sports Wear, Prince, Zoot Sports, Guahoo, Cabela's, Cube, Seger, Bridgedale, Medicore, Amoena and Garmont. Outlast Technology has succeeded in creating the first-ever heat management polyester fibers extending the range of applications and markets in which the technology can be used. The newest member of the Outlast fiber family is a bi-component fiber with a phase change material (PCM) core and polyester sheath. 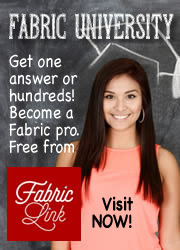 Other Outlast fibers include Outlast® viscose and Outlast® acrylic with PCM. Staple fibers of the polyester will launch in the market first, followed by filament fibers. Outlast® polyester features the unique added value of heat management with the same characteristics of other polyester fibers: low moisture absorption, ability to transport moisture, improved wrinkle resistance, water and wind resistance as well as high tearing and abrasion resistance. Outlast® polyester is perfectly suited for functional apparel and other applications worn next to skin including t-shirts, socks, base layers, athletic wear and underwear, all offering superior comfort. PLUS Compound Technologies introduced its new PLUSfoam™ product, which is currently available in footwear from New Balance. The Southern California-based business produces foam components for manufacturers, and finished goods for branded consumer product companies, all of which are made from its proprietary compounds that are 100% recyclable. PLUS offers a true cradle-to-cradle solution to manufacturers, in which the component can be made from various combinations of reclaimed consumer products, post manufacturing scrap and virgin material. This means less manufacturing waste and fewer post consumer products end up in landfill. PLUS compounds are well suited for a wide variety of applications, and can be readily used by brands and manufacturers as environmentally-friendly alternatives to EVA, PU and rubber. On behalf of the brands it supports, PLUS operates a reclamation center in Santa Barbara, California. It is here that the company reclaims post-consumer finished goods for recycling and reuse. This offers its brand partners, like New Balance, the opportunity to carry a strong environmental message to the consumer, while PLUS manages the return logistics for them. New Balance sandals made from PLUS Compound Technologies' PLUSfoam™ material. PrimaLoft®, a world leader in performance insulations and yarn applications, along with its partner Régitex, a North American based yarn spinner, announced the development of a new fine denier PrimaLoft® Merino Blend Yarn, offering superior softness and performance qualities. Currently, the yarn is being used in the creation of seamless knit base layer garments, which are both functional and comfortable to wear. PrimaLoft's base layer yarn offerings include a two-ply knitted fabric system in which the 100% PrimaLoft polyester yarn is placed closest to the skin. When combined with a hydrophilic dispersing Merino yarn, the hydrophobic properties work together in a push-pull manner to transfer water vapor away from the skin to the outside of the fabric, keeping the skin dry and comfortable. PrimaLoft Yarn's base layer stock programs are currently in place with major brands at Expfficio, Fox River, The North Face, L.L. Bean, Lands' End and Cabela's. Rentex Inc., a Canadian knitter of circular and warp knit fabrics, featured a new warp knit construction in 2010, targeted towards the cycling, triathlon, rowing, and swimwear markets. The fabric is a blend of 56% Eco Circle™ fiber and 44% PBT polyester. Eco Circle is an innovative system developed by Teijin that employs unprecedented chemical recycling technology to enable repeatable recycling of used products into recycled yarns with no qualitative deterioration. The PBT (polybutylene terephthalate) fiber is a texturized 100% polyester filament yarn with stretch and elasticity properties. 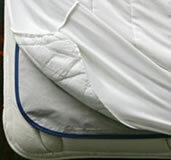 PBT has higher stretch and recovery compared to standard polyester. While the stretch qualities of the new Eco Circle/PBT fabric are equal to those of a spandex fabric, the stretch of this fabric will improve with every wash, unlike the degradation of spandex that occurs during laundering. In addition, the fabric incorporates abrasion resistance, chlorine and perspiration resistance, all the while maintaining its excellent stretch and recovery properties, and is sustainable! Rogers Corporation announced that its 2nd generation PORON® ReSource Performance Cushioning material is now produced using 45.96% less petroleum-based polyols, over twice the amount used in the 1st generation material. PORON ReSource Cushioning is an open-cell, breathable, shock absorbing material that maintains all of the superior cushioning and performance benefits found throughout the entire line of PORON materials. All PORON materials are developed to be free of latex, PVC's (polyvinyl chloride), VOC's (volatile organic compounds) and heavy metals. PORON ReSource Performance Cushioning is manufactured using a soy-based polyol, which replaces over 45% of the petroleum-based polyols, and is carefully sourced through a partnership with a U.S. supplier working with The Nature Conservancy. This multi-tiered partnership works to ensure a balance of economic activities with conservation efforts in soybean farming regions. The introduction of the next generation of PORON ReSource Cushioning comes at a time when customers are increasingly looking for eco-friendly characteristics built into the products they buy. Available in a variety of densities and thicknesses to meet specific product design needs, PORON ReSource Cushioning provides footwear and sporting goods manufacturers with a painless way to develop more environmentally friendly products without changing manufacturing processes or designs. 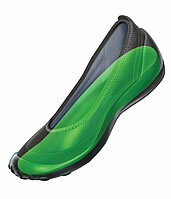 PORON ReSource Performance Cushioning, shown in this image as the green cushioning insole, is now developed using a renewable soy-based polyol that replaces over 45% of the petroleum-based polyols used in urethane foam manufacturing. SNS Nano Fiber Technology, LLC, a company that was borne from a partnership between the University of Akron, Struktol Company of America and the German based Schill & Seilacher, offered one of the most exciting nanotech innovations for textiles in 2010. SNS Nano Fiber's product, Nanosan®, is a new type of nonwoven composed of polymer nanofibers. Utilizing SNS's proprietary technology, nanofibers can now be produced in larger quantities and at a substantially lower cost, making Nanosan® the first commercially available material of its kind on the market. Nanosan® is currently available in either rolled goods or cut-to-length sheets, as a self-supporting mat of nanofibers or with a nonwoven backing. Specialized nanofiber membranes can also be produced to customer specifications. Nanosan® is available in a variety of basis weights, up to 2 mm thick. Nanosan® can also contain particles (up to 150 micron), dispersed throughout the nanofiber matrix or encapsulated within the nanofibers themselves, thus allowing additional functionality to be added. Nanosan® is suitable for a variety of applications, including personal care products, protective tapes for electrical cables, wound care, decontamination and toxin removal, filtration, and protective garments for the military, as well as other specialty textiles and garments. Even when saturated with water, Nanosan®-Sorb28 still possesses impressive strength properties. Texollini Inc. launched it's new A.P.T (Advanced Performance Textiles) family of knitted fabrics in 2010. From Concept to Creation to Finished Product, Texollini's A.P.T fabrications include proprietary constructed textiles to meet specific requirements. From yarn to finishes to the newest technologies, Texollini's relationships with creative yarn spinners, fiber suppliers, and advanced finishing technologists, as well as its superior in-house technicians, Texollini is a top choice for creating new performance and technical apparel fabrics. Texollini's made-in-America state-of-the-art vertical capabilities of knitting, dyeing, finishing and printing guarantee quality, care, confidence and reliability. Plus,its manufacturing capabilities are all in-house in California. The A.P.T. 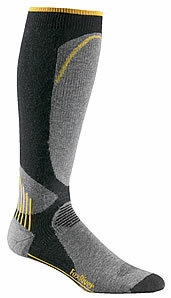 HYBRID line of textiles is used for military applications, as well as for applications in medical and athletic end-uses. A.P.T properties include: moisture management, antimicrobial nano-technology, water repellency, and properties including FR in multi-blends for military applications, as well as aloe/vitamin E treatments for medical uses. 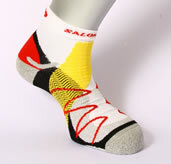 The collection is available in a variety of constructions including fleeces, meshes, and jerseys. Vulcana®, LLC, a New Jersey based company specializing in the development, manufacturing and distribution of materials made from recycled car tires, launched its innovative recycled products, rubbRe™ and fuzun™ into the commercial market in 2010. Produced in a variety of colors and thicknesses for use in upholstery, wall coverings, outdoor furniture, tarps, flags & banners, bags/luggage, and home/office accessory applications, rubbRe is a sheet rubber material incorporating recycled post-consumer tires into a versatile, eco-friendly material suitable for a variety of end-uses. rubbRe's sister product, fuzun™, utilizes rubbRe as the backing base with the addition of a woven fabric bonded to the face or a "sandwich effect" can also be created by laminating multiple layers together. The stock fuzun line currently consists of rubbRe bonded to 100% hemp burlap. However should a customer have a specific need, though lamination, Vulcana is able to bond just about any other material to rubbRe. fuzun™ fabric, made by bonding 100% burlap to a rubbRe™ backing.